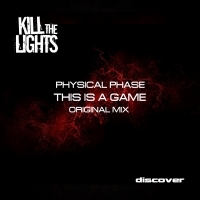 Project Physical Phase marked the introduction of a talented Spanish producer on the Electronic Music scene. Originally from Vila-real (Spain), Manu Bosquet began playing keyboard and percussion from a very young age. In 1993 he started using tracker software to compose his first techno and progressive tracks. His passion for the genre encouraged him to progress onto the use of hardware and midi sequencers, polishing his style and adding quality and elegance to all his tracks. He didn't start promoting his music on the scene until 2007, when his first son was born, and the great support he received motivated him to better his producing skills. Manu has signed with several known labels, including Fenology, Adrian & Raz, RecoverWorld, Pulsar Recordings, Straight Up, Baroque Records, Red Soho, Club Educate, Trance All-stars, Redux Recordings, 405 Recordings, System to name a few. His releases are being recognized and played by a growing palette of Internationally renowned artists such as Markus Schulz, Roger Shah, Pedro Del Mar, Giuseppe Ottaviani, Suzy Solar, Anna Lee, Manuel Le Saux, Paul Oakenfold, DJ Feel, John Askew, Andy Duguid, Randy Seidman, Nurettin Colak, Stana, Lemon & Einar K and many more. He currently broadcasts a monthly trance and progressive podcast show called "Progressive Vibes" on: Playtrance.com every second Saturday at 20:00h CET. 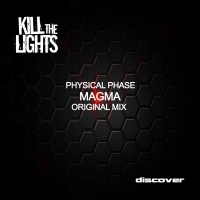 Having released an extensive catalogue of productions and remixes to date, Physical Phase has a very promising future ahead for him. With more productions and remixes already in the works, watch this space for a refined sound from Manu who will continue to grow and thrive in the Trance & Progressive music genre.